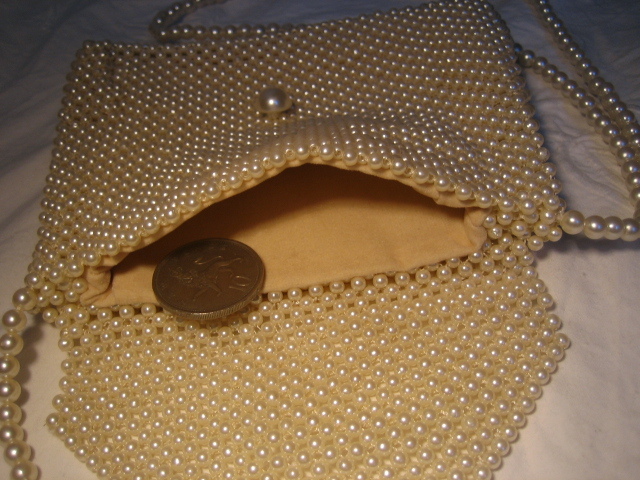 Vintage 1950s little pearl evening bag. 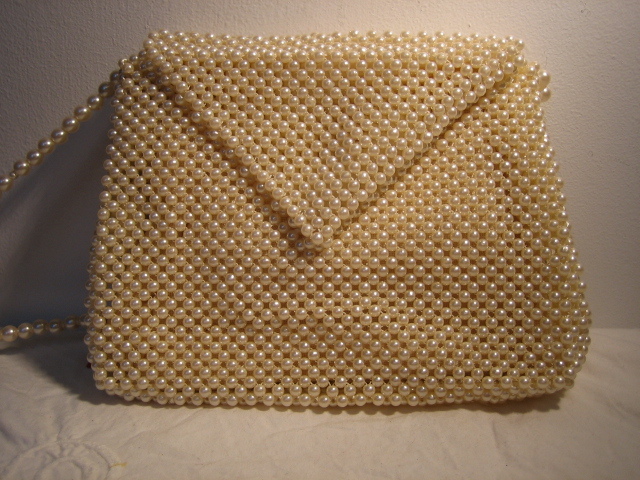 Here is an gorgeous little pearl bead evening bag from the 1950s. 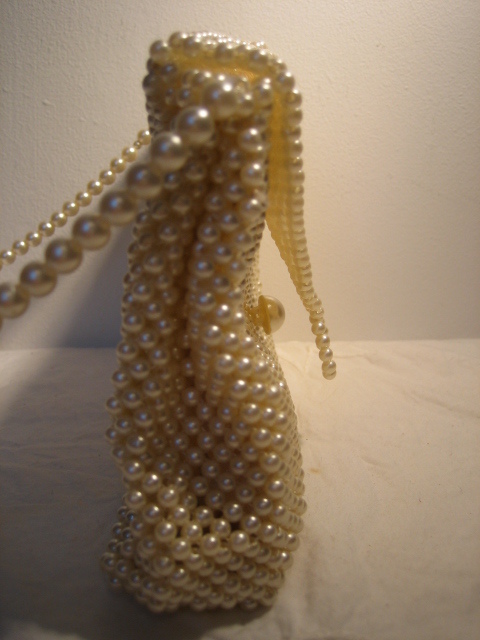 The body is covered with small pearls, those forming the the strap are slightly larger, and the bead used as to close it is larger still. It isn't just an envelope - the bottom is wider than the top, so it will hold more than a train ticket! 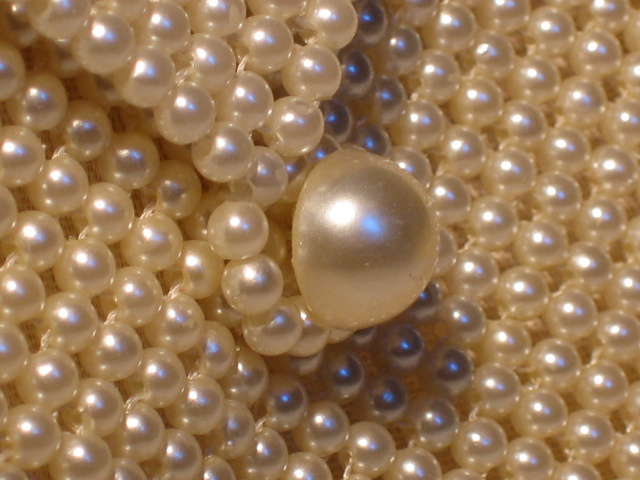 The pearl-coloured lining feels like suede, and, like the exterior, is completely clean and unamrked. 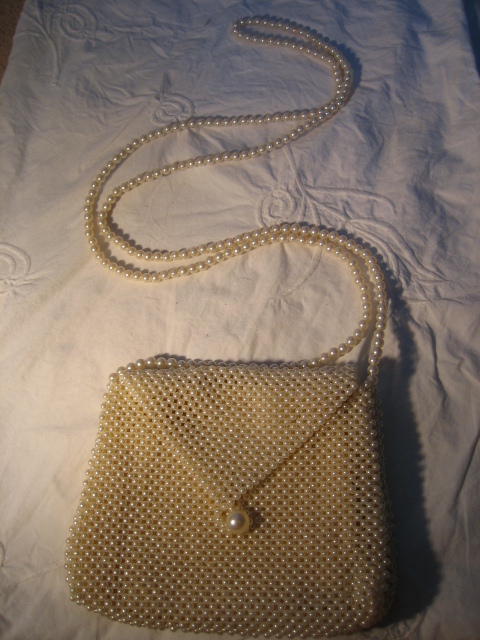 Like most evening bags it is very simple, with no interior pockets. However, the fastening is very safe, even slightly stiff, so your belongings will be secure. There is a false flap detail on the back. 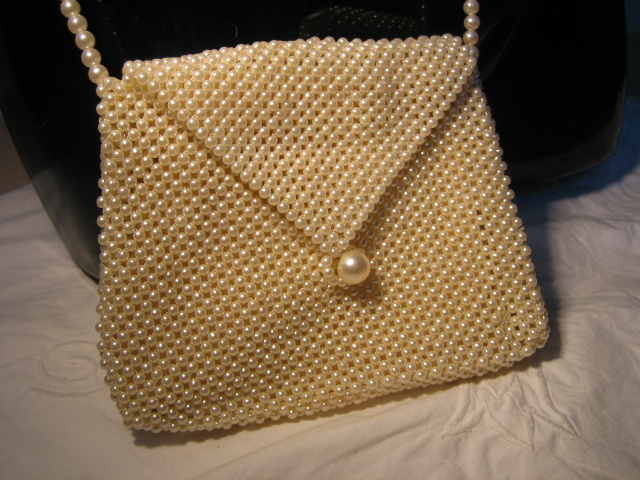 This little bag is over fifty years old, yet is very nearly as perfect and beautiful as the day it was made. It would be perfect to go with a wedding outfit, or a summer evening dress. The only fault that I can find, is that the fastener appears to have lost its shine (just age, I'm afraid). Approximate dimensions are: 4 1/2 inches/12 centimetres long, 6 inches/15 centimetres wide, and 1 inch/2 1/2 centimetres deep. The strap is 50 inches/127 centimetres long.